clarkreid | Tech, politics, media, law, & life. There’s an old legal expression about settling a case on the courthouse steps, but yesterday, Apple and Qualcomm settled suddenly after the jury was seated and Apple had delivered its opening argument in the dispute. 9to5mac.com says they also agreed to a 6 year deal for chops with a possible 2 year extension, and Apple and its suppliers have paid the some $7 billion they had withheld in royalty payments…and likely more. Apple had complained that Qualcomm was ‘double-dipping,’ charging them $16.1 billion for chips from 2010 to 2016, while also hitting them for $7.23 billion in licensing fees. While we don’t really know what caused the quick settlement after trial had started, a good guess offered by a number of analysts is that after Apple ‘lost confidence’ in Intel’s ability to furnish 5G modems in time for the 2020 iPhones, Apple decided to go ahead and make nice with Qualcomm to ensure that their phones were ready for 5G next year. In a bit less nerdy Apple news (well, maybe not! ), Apple is apparently working on something like the Tile…that you could attach too items to track the location. In addition, engadget.com reports that they are planning to merge Find My Friends with Find My iPhone. A feature may be that you could geofence items, and it they got too far away, it would alert you to the location…this might be handy for any number of things, from AirPods to your wallet or keys! The merged ‘Find’ app apparently would have a feature called Find Network, which will let you track your devices even if not connected to WiFi or a mobile network. At last check, French billionaires and businesses had given some $600 million towards the rebuilding of Notre Dame. Now, comes video game maker Ubisoft, which based a lot of Assassin’s Creed Unity in that structure. According to businessinsider.com, Ubisoft will not only donate 500,000 Euros to the effort, but will offer their detailed data about the cathedral amassed over 2 years for use in the game. Even with the specter of Disney’s upcoming streaming service at a lower rate, Netflix continued to grow in 1st quarter of 2019. Techcrunch.com says they tacked on 9.6 million subscribers and raked in revenue of $4.5 billion. The growth is 16% year over year, and was significantly more than analysts had predicted. Netflix now claims 148.9 million paid streaming customers. It will be interesting to see if the price hikes in the US slow growth or cause cancellations next quarter. Early adapters with deep pockets…rejoice! Preorders open tomorrow for the Samsung Galaxy Fold, the $1980 folding smartphone/phablet. Techcrunch.com says if you’re a player for it, hit Samsung’s website tomorrow. Did we mention that you could buy a decently equipped MacBook Pro for the price of this phone? In other Samsung news, the Galaxy S10 5G will be available via Samsung’s website starting next month. By the time you get that one, 5G will still be only available in a very few spots around the country. Apple has muscled 15 more of its suppliers, including major ones like Foxconn and TSMC, to make Apple products using 100% clean energy. According to theverge.com, that brings the total number of Apple suppliers up to 44. Apple states that it now expects to exceed its goal of using four gigawatts of renewable energy in its supply chain by 2020 by an additional gigawatt. As of last April, Apple claimed that its own facilities were running entirely on renewables, and it added its retail locations in October. Apple’s own facilities and retail stores only account for 26% of the company’s carbon footprint, though. The other 74% comes from the suppliers. States and cities have been leaning on Amazon, and now it looks like they may accept cash and EBT cards in Amazon Go stores. Arstechnica.com reports that the change might be in the works due to charges of discrimination. Philadelphia and New Jersey have passed laws banning cashless retail stores on the grounds that they discriminate against the some 8 minion US households that have no access to a debit or credit card…usually due to poverty. New York City and San Francisco are also looking at banning cashless stores. Massachusetts has barred cashless businesses since the 1970’s. If you are a golf superfan, and can’t make it to the hallowed Augusta National to watch the Masters, you’re in luck. Engadget.com says you can supplement watching the tourney on TV with viewing the shots online within 5 minutes. Or…if you don’t mind the delay, you can just watch the shots themselves, without watching the walking from hole to hole in-between. One down side…for those lucky enough to be on the course in person…no cell phones are allowed. For home viewers, just hit the Masters website or download their app. The videos will be stitched together using AI by IBM, and the Watson supercomputer will figure out which are the most significant and exciting shots. Google has announced that any phone running Android 7 or higher can now be used as a security key for two factor authentication. When You need a second device to verify a login, you can now just use your phone, and not need the Google Authenticator app. It works over Bluetooth, and should be quite intuitive for users. Theverge.com reports that you will need to connect your Android phone through Bluetooth to a Chrome browser to verify logins. It works on Gmail, G Suite, Google Cloud, and any other Google account service. On Pixel phones, your FIDO credentials are stored in the Titan M chip, which can verify that button presses are legit. Google says that eventually, they will add other browsers to the system. Facebook has rolled out a string of new announcements aimed at promoting more trustworthy news sources, and tamping down on Groups that spread misinformation. According to wired.com, the biggest change will be a new metric called Click-Gap, which Facebook is launching worldwide today…it’s their attempt to limit the spread of websites that are disproportionately popular on Facebook compared to the rest of the web. The system would limit the reach of such websites’ reach. The plan is not without critics, especially Republicans, who claim it would stymie free speech on the platform. Facebook will also take a more punitive approach for administrators of toxic Groups, and penalize the groups which spread fake news, even if such doesn’t violate community standards. All the granular information about the changes will be available in FB’s community standards. Over 3500 Amazon employees have produced an open letter asking Jeff Bezos and others in the company hierarchy to adapt a shareholder resolution and release a ‘company-wide’ climate change plan. Engadget.com says the plan they ask for includes a ‘complete’ end to the use of fossil fuels, not just carbon offsets. Amazon has not directly responded, but did tell the New York Times that they are still working towards Shipment Zero and plan to reveal a company level carbon footprint and related goals later this year. They have already announced plans for wind farms in Ireland, Sweden, and the US. A spyware app originally spotted on Android has now found its way to iPhones. Techcrunch.com reports that the app…called Exodus on Android, bypasses Apple’s app store by abusing Apple-issued enterprise certificates. Once installed, it can stealthily grab contacts, audio recordings, photos, videos, and other info…including real-time location data. It can be remotely triggered to listen in on conversations. Apparently it is disguised as a cell phone carrier or helper app for your cell phone carrier. On Android, it is more powerful, and can get root access to your phone. This allows stealing of email, cellular data, Wi-Fi passwords, and more. It has NOT been available from Apple’s App Store, but was on the Google App Store for a time. It is made by a professional group called Connexxa. Best advice- don’t download apps except from the App Store if you are on iOS. You may have seen something in your news feed on Facebook, or even gotten an alert, about a new feature called the Tributes Tab. According to engadget.com, Facebook is rolling out updates to memorialized accounts (those kept active for people who have passed away.) The dedicated tributes tab will let friends and family share stories and memories of the loved one on the timeline of the person who passed. A moderator can use the tab to limit who can make and see posts, delete as needed, and so on. Thankfully, Facebook is working on stopping birthday reminders from tribute pages, and blocking the pages from getting event invites. The former can’t happen too soon! Firefox is testing out a new anti-tracking feature that will block sites from being able to ‘fingerprint’ your browser and track you, even after you have cleared cookies. Firefox ill also now explicitly block cryptocurrency mining scripts that attempt to hijack your computer’s resources to mine digital currency. The features are in beta testing right now. Theverge.com says that Apple announced an anti-fingerprint tracking feature it plans to add to Safari at WWDC last summer. If you’re interested in getting ahead of the curve on Firefox, the features are available in the browsers Nightly builds version 68 or Beta build in version 67. Both are disabled by default. Fiat Chrysler has cut a deal with Tesla which will enable Fiat to meet Europe’s tough new emission regulations. According to arstechnica.com, Fiat Chrysler will pay several hundred million euros to Tesla to be able to claim the electric cars as part of their own fleet, helping them to avoid some 2.77 billion euros in fines ($3.12 billion.) Fiat Chrysler’s total net global profit last year was $4.1 billion! This may be why Elon Must said he wasn’t worried about cash, despite having to dig into reserves for a big bond payment recently, with more bond payments due soon. The top line 2019 iPhones have been rumored for months to be moving to a triple lens camera setup for the rear cams. According to 9to5mac.com, the premium Apple handsets will rock 6.1 and 6.5 inch OLED screens in addition to the triple cam setup…and Apple blog Macotakara, these will be new models! The XS and XR will get the usual upgrades in specs, but the 2 new models will have a different chassis to accommodate the 3 cams. The overall phones will be thinner than the XS or XR, but for the rather large, square ‘camera bump’ that encloses the 3 cams and flash. The bump will only protrude by about .5 mm. Another source…with a little more sketchy reputation…says ALL the upcoming iPhones will have 3 rear cams…stay tuned! Despite the battery issue of a few years ago, Samsung’s Galaxy Note continues to be a very popular model for the company. Now, 9to5google.com is reporting that Samsung may be working on FOUR different Note 10 models! 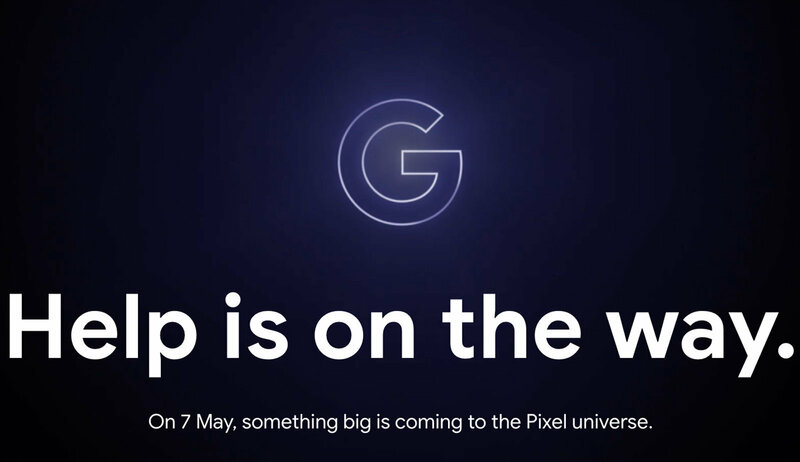 The phablets would feature varying screen sizes and connection options…including 5G. It’s not clear how the Note models would fit into the lineup with the S models…the S10 5G might be kind of intermediate between the Galaxy S10 and Note 10, but with no S Pen support. A guesstimate of screen sizes has them at 6.28 and 6.75 inches respectively. At any rate, it will be the 1st time Samsung has offered multiple models of its phablet (aside from the usual color and storage options.) They will probably bow August 8th. Netflix had claimed ‘technical reasons’ for disabling its Airplay support. Now, appleinsider.com says the reason may be due to Netflix not being able to tell which device the stream is being sent to…whether a TV, tablet, or phone. No one can figure out what an actual technical problem would be for Netflix with this situation…but it would mean less valuable data harvesting for them. It may just be about the bucks! Tesla is looking at moving to longer range electric motors for Model S and Model X. Engadget.com is reporting the company may be going to the newer tech permanent magnet reluctance motors that the Model 3 runs on. The newer motors are 97% efficient, while the older AC induction motors are just 93%. The design change would gain more miles in range without any notable compromises to the design of the cars. No timetable has been discovered, nor if the change would bring a bump in cost.